In 2003, Stasyx approached GTM Sportwear to help their company transition from a dynamic sports apparel business to a large full-service customizable team apparel company. In 2003, GTM Sportswear was growing rapidly, and it became clear that their current software infrastructure was an obstacle to the company’s aggressive expansion plans. They needed a custom software solution to ease their growing pains and help them take their company to the next level. To mitigate the growing pains associated with GTM’s rapid expansion, Stasyx proposed a custom-tailored software solution that would automate their warehouse inventory management, and streamline their shipping and receiving processes. The end result was Imagine, a complete turn-key software solution that oversees every aspect of GTM Sportswear’s company operations, from receiving raw goods, the custom print screening, CRM and warehouse tracking to seamless integration with the company’s accounting software and UPS/FedEx shipping for a superior customer experience. GTM was attempting to grow into new regions and was looking for software to manage their growing sales staff and high volume of leads. They required data entry in both their existing software and Salesforce. Implementing the Salesforce APIs, we created a two-way synchronization, which allowed both on-site and remote staff to manage leads in whichever system was most convenient for them. 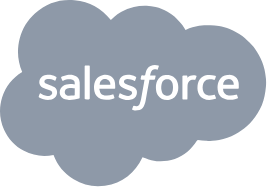 Stasyx also modified the Salesforce client web interface to include the ability to open up their existing software and auto-load the selected customer. In 2008, GTM total operations had expanded to 108,000 square feet and their total revenue had increased by over 400 percent. In 2010, after five years of using Imagine, GTM has over 500 employees, and they continue to grow. Their annual revenue is more than 10 times what it was before they started using the software solution that Stasyx created especially for them. John Strawn, the President of GTM, commends Stasyx for providing easy solutions to complicated problems.